Located on the romantic sounding Via Pergola in the center of Montecchia di Crosara, the Teassari's Ca’Rugate estate is one of finest producers in an area of great producers. The family's vineyard holding are in the choicest sites in the hills of Soave Classico & Valpolicella Classico. The Soave Classico vineyards are located in the commune of Monforte d'Alpone on south facing slopes which are on balsatic soils and are planted to Garganega and a small portion of Trebbiano di Soave. The densely planted Valpolicella Classico vineyards (5000/6500 vines per hectare) are located in the commune of Montecchia di Crosara at an altitude of 450 metres on a slope that dominates the Alpone & Tramign valleys. The Corvina, Corvione & Molinara are planted on limestone rich soils with a scattering of gravel and large pebbles. All of the grapes are hand picked. The wine making philosophy is instinctive and sensitive. Purity, harmony and 'Terra' are hallmarks of the Ca'Rugate wines. The whites are crystal clean, pure and precise with 'San Michele' delivering citrus and almonds, the 'Monte Fiorentine' is all minerals and chalk, the 'Monte Alto' reveals layers of creamy fruit thanks to a brief sojourn in French barriques and the stunning Recioto di Soave 'La Perlara' has seering intensity allied to crème brulee like sweetness. 'Rio Albo' is lovely, juicy, cherry fruited Valpolicella. It has a lot more character than most 'normale', the stunning single vineyard 'Campo Lavei' contains 40% dried grapes offering a mini Amarone like depth of flavour, the 'Vin de Garde' Amarone is as pure, intense and well balanced as any produced, avoiding the excessive alcohol heat so prominent in most 'great' Amarone and finally the beautiful and delicate Recioto della Valpolicella is one of the most satisfying wines we import. If you are looking for characterful, balanced and beautifully proportioned wines, these are for you. 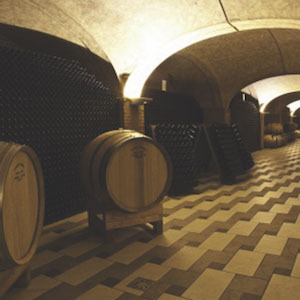 They offer a stunningly pure rendition of great wine styles of Veneto.